Earlier this year Hyundai launched their Blue Link app on smartwatches. Basically what the app does is allow Hyundai car owners to control certain aspects of their cars remotely which is admittedly pretty cool. 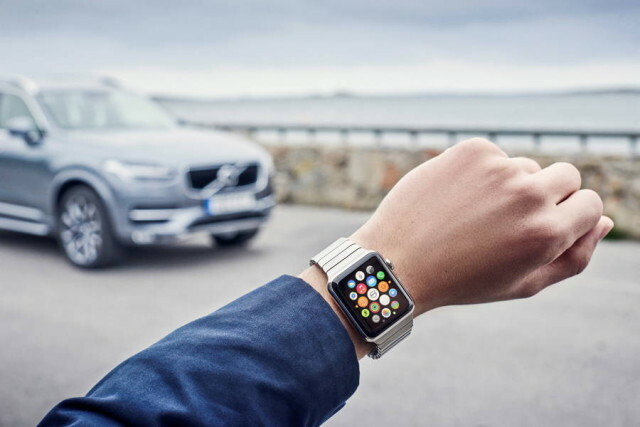 If you don’t have a Hyundai but own a Volvo, you will be pleased to learn that Volvo has announced that they will be bringing their On Call app onto smartwatch as well. In case you’re not familiar with the carmaker’s On Call app, this is an app that was released for smartphones a few years ago. It functions more or less similar to Hyundai’s Blue Link and will let Volvo car owners control their vehicles remotely. Users will be able to remotely lock/unlock their cars, turn on the air conditioning or heater so that your car’s all nice and cold/toasty before you get in, as well as check on your fuel levels and mileage. It will even help car owners locate their cars in the event that you forgot where you have parked. It will also connect owners to an operator who will be able to use GPS to track your location should your car’s airbags get deployed. All of these features are in the smartphone app but will soon be available on your wrist, making it even more convenient than before. Unfortunately Volvo’s On Call app will only be made available for Android Wear and the Apple Watch towards the end of June. Posted on June 1, 2015, in Sri Lanka. Bookmark the permalink. Comments Off on Volvo To Bring On Call App To Smartwatches.